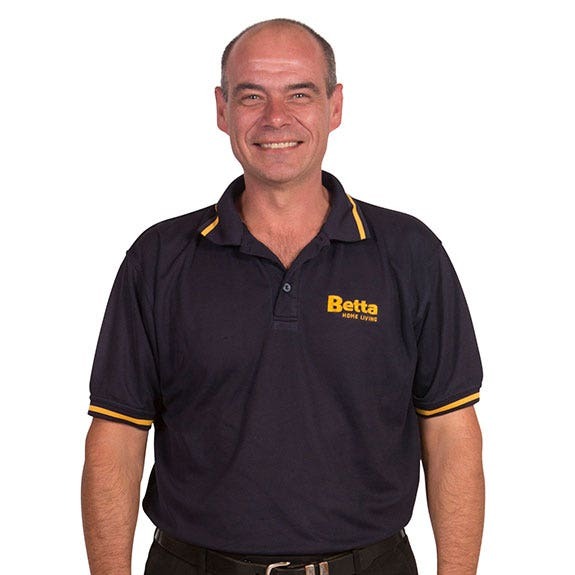 The Warwick Betta Home Living store have expert staff who are always ready to assist you with selecting your next white goods or home appliance purchase. Our Warwick store has a wide selection of products from all the leading brands for you to choose from. Like fridges and freezers, kitchen and cooking appliances as well as washers and dryers – we have it all. Established in 1976 and is currently owned and operated by locals, Kate and Robert Balint, who love seeing kids having fun at all of the junior sporting groups in the community. With a strong focus on sport, the Warwick store offers sponsorships and donations to the local junior and senior rugby league clubs, junior karting, and rugby union clubs, as well as many other sporting groups, local schools, charity organisations, and church groups. Strong coffee drinkers, Kate and Robert support the Warwick Dragons and enjoy dining at the Gardens Galore Cafe.